The world is built of words. Whether our students are Tweeting, emailing, reading Dickens or writing letters in high flying jobs, we want them to leave the English Department sensitive to the power of words. We want them to be readers; readers who experiment, who are not frightened of poems, or confused by newspapers. We want them to enjoy reading, but also be to technically skilled, and able to write essays which get to the heart of texts and explain their ideas clearly to examiners. We want them to be writers; powerful writers who can make their emotions leap off the page and manipulate their reader’s feelings with their words, writers who can express complicated ideas in professional, clear English, ready for the modern job market, and, most of all, students who can see the life-long power of being a good writer who enjoys experimenting with words. As part of this challenge, we have built a rigorous, challenging and supportive curriculum to help them take the next steps on their learning journey. We believe all students should take Language and Literature at GCSE and we want our younger years to build the foundations of success from the moment each child enters our doors in Year Seven. Mrs Danks studied at both the University of Central Lancashire and the University of New York before receiving her degree in Journalism and English. 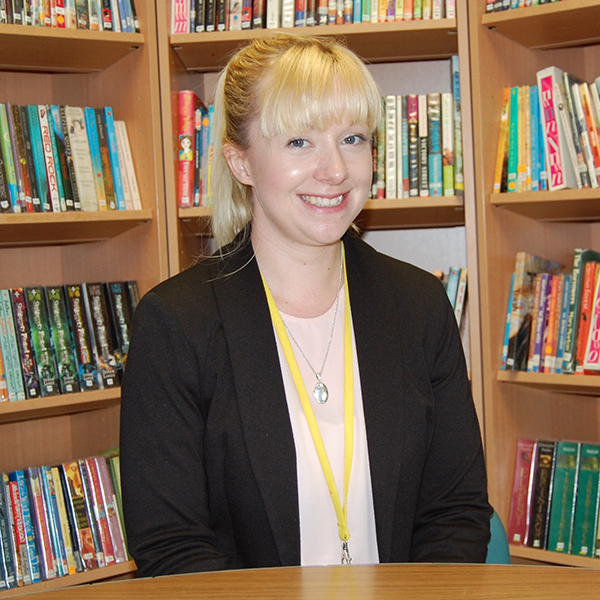 She has worked at Thorns since 2015 and has led the English Department since September 2017.